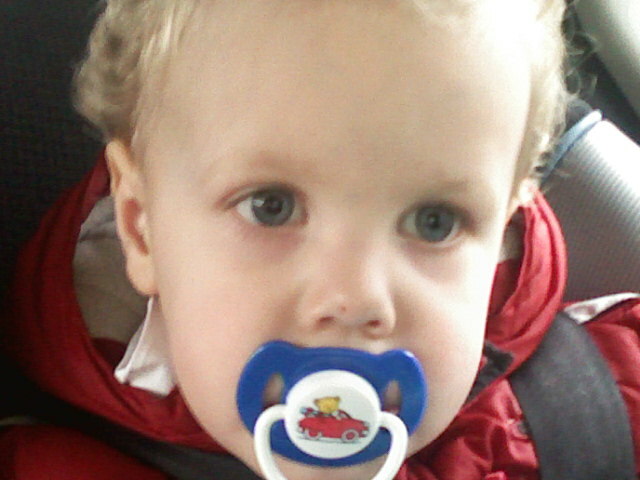 Well I hope he is ok....pacifiers are a life saver! My 1 year old has become pretty attached to hers. I was reading your "about me" section....my about me is a carbon copy of yours :O) Well I am off to work ~ Happy WW!!!! What a cutie! Hope he is ok. It took quite awhile to get my daughters binky from her! As soon as I saw the pacifier I just gave a little chuckle. It's okay... :) Maybe it's a temporary setback.